The Pound Japanese Yen (GBP/JPY) exchange rate is range bound this morning, following the release of some weaker-than-expected UK retail sales figures. At the time of writing the Pound Japanese Yen GBP/JPY exchange rate remains close to this morning’s starting levels, leaving the pairing resting close to the week’s opening rate. 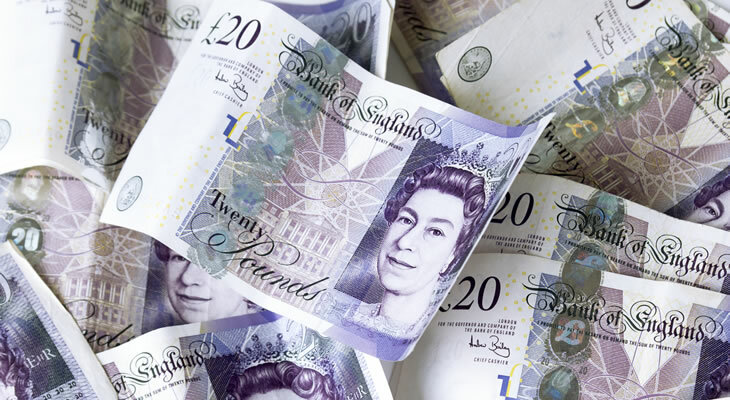 The Pound (GBP) is stuck trading in a narrow range against the Japanese Yen (JPY) and the majority of its other peers this morning as markets react to the UK’s latest retail sales figures. According to data published by the Office for National Statistics (ONS), UK retail sales growth slumped from an upwardly revised 0.4% to -0.8% in September, falling past forecasts of a more modest decline to -0.4% and striking its lowest levels since March. The main catalyst behind the slump in sales appeared to be a sizable reduction in food spending, with food sales suffering their largest monthly drop since 2015 as summer came to a close. ‘After a summer of spending boosted by the long, hot weather, September saw shoppers tighten their belts to catch up. GBP/JPY Exchange Rate Forecast: Will Rising Inflation Help to Bolster the Japanese Yen? Looking to the end of this week’s session, the Pound Japanese Yen (GBP/JPY) exchange rate may drift lower again as Japan publishes its latest Consumer Price Index (CPI). While headline inflation may have slipped last month, analysts appear confident that core CPI will have accelerated in September, forecasting that it will have broken the 1% barrier for the first time since February. However this will still leave underlying inflation well below the Bank of Japan’s (BoJ) 2% target, potentially capping the Yen’s upside potential. Meanwhile GBP investors are likely to return their focus to Brexit over the next couple of days as Theresa May attempts to rescue a potential withdrawal deal as the latest EU summit officially gets underway. Previous ArticlePound Australian Dollar Exchange Rate Forecast: Will GBP/AUD Recover on UK Sales Growth? Next ArticlePound Sterling to US Dollar Forecast: Will Brexit Breakthrough Boost GBP/USD Exchange Rate?